BSNL is the leading broadband player in the Indian market with over 10 million subscribers under its belt. 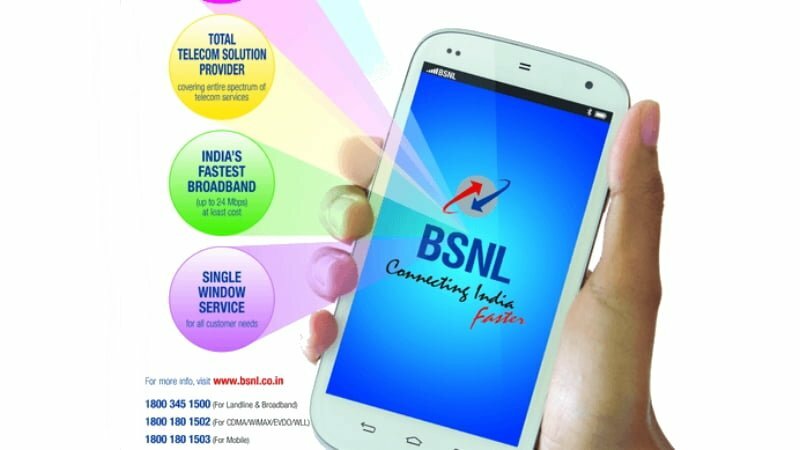 The reason for BSNL topping the chart is it started the operations way back in 2004, and another reason is that it has broadband tariff plans in every price segment. Starting at Rs 249, the government-owned PSU’s broadband plans stretch up to Rs 3,000 and beyond for FTTH plans. Once such plan is the Rs 1071 broadband plan that offers a 10 Mbps connections along with a monthly FUP of 300GB. It also provides after FUP speed of 2 Mbps for unlimited use without any speed restriction. With this Rs 1091 broadband plan, BSNL is offering a 10 Mbps connection with a whopping FUP of 300GB per billing cycle. And as stated, post the 300GB, users will be able to enjoy data speeds at 2 Mbps which would be enough for basic browsing such as Facebook. BSNL will also provide one free email ID along with free space of 1MB. Furthermore, this plan offers free voice calls within BSNL network along with unlimited free calling to any network between 10:30 PM to 6 AM. Those are the revised free voice calling timings, and this plan even offers voice calling on Sundays. However, do make a note that Sunday free voice calling will end on April 30, 2018, according to a statement given by BSNL earlier this year. This is one of the best broadband plans from BSNL, which will put itself against the plans from the likes of Airtel and several other local players. However, other players are offering much faster speeds of up to 300 Mbps (in case of Airtel), 150 Mbps (in case of ACT Fibernet) in several parts, but BSNL’s FTTH plans max out at a speed of 100 Mbps. And the sad part is BSNL’s 100 Mbps broadband plans are priced on the higher side. BSNL also has an Rs 1199 Family broadband plan which gives 10 Mbps broadband connection with 30GB FUP and 2 Mbps beyond that. The Family Broadband plan also gives users three mobile connections with 1GB data per day on each connection for the validity period.